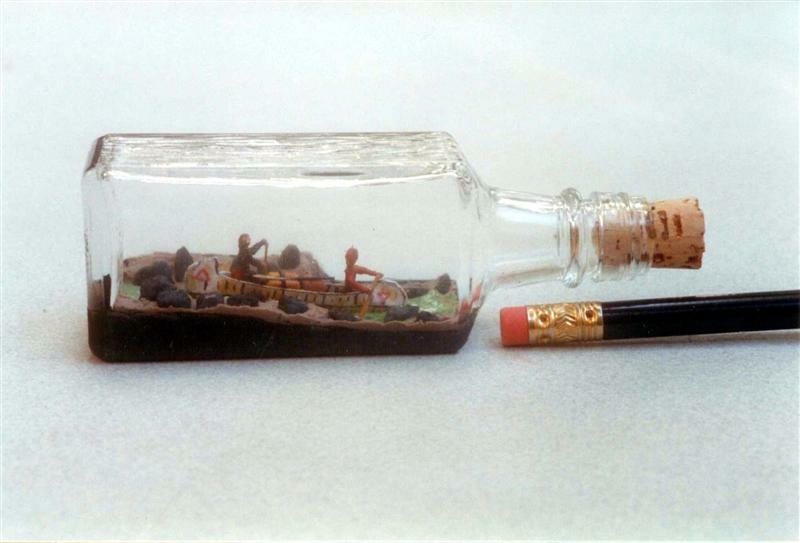 Folk Art In Bottles - Build a Canoeing Scene - by Charles Hand, Jr. 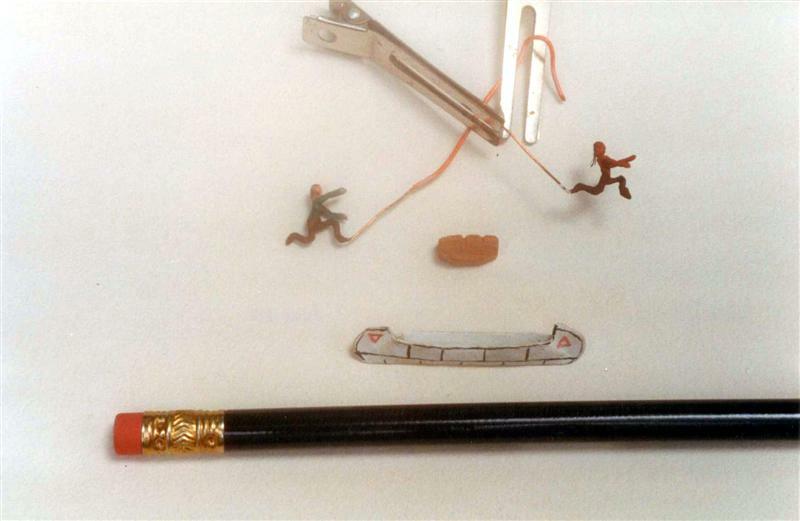 Build a Canoeing Scene - by Charles Hand, Jr.
- by Charles A. Hand Jr.
1. 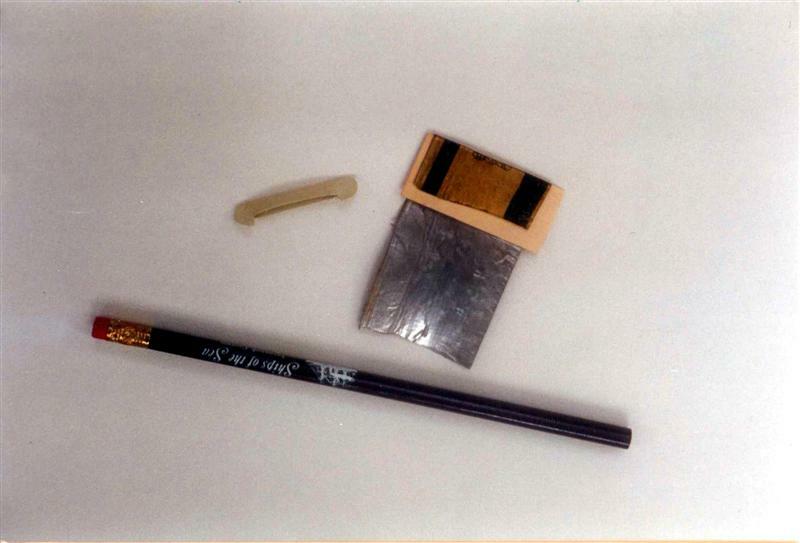 To form the canoe, Lead foil was flattened and folded over a piece of cardstock, which prevents swaging during cutting. 2. 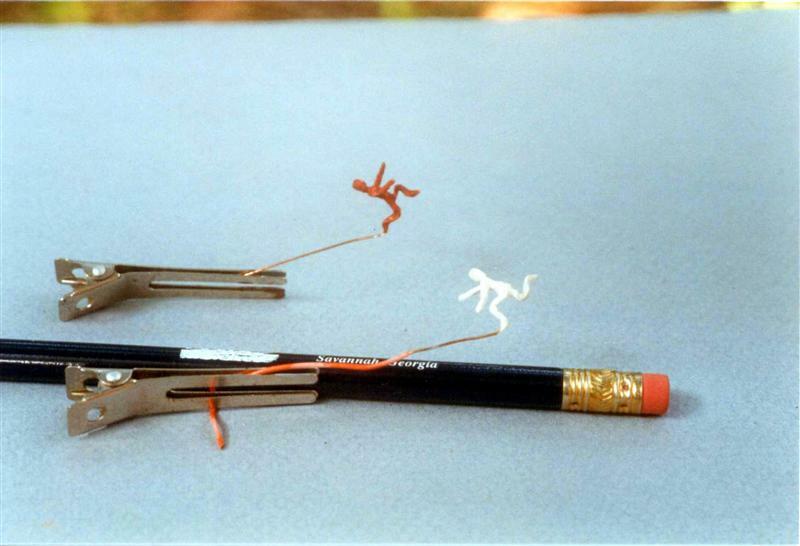 The bent wire armatures for the two figures (a couple of extra figures were made just in case). The arm span should equal the height of the figure and their attachment point must allow room for a neck. 3. 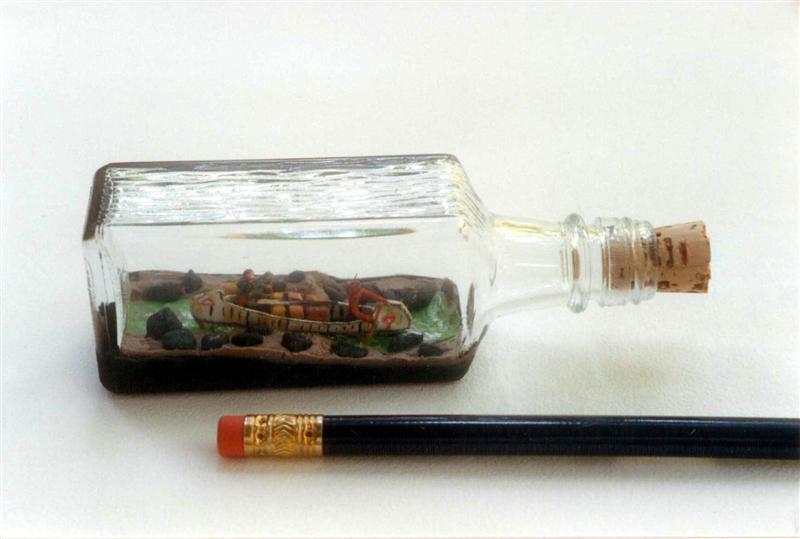 The bottle and formed canoe. Here, the canoe was painted "antique white," but that was later changed to flat white. 4. Artist's gesso has been brushed on the armatures for the figures and allowed to dry. It took three coats. The Native American Indian figure has also been painted wi th watercolor paints. 5. The figures, carved cargo and canoe. Hair clips are ideal for handling and holding the figures while they dry. 6. 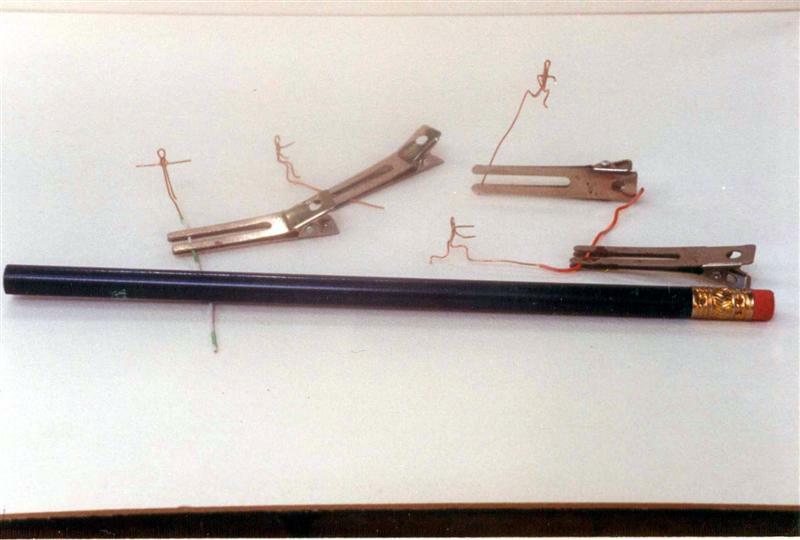 A check-fit of the figures and cargo in the canoe, while the formed long rifle and paddles lie above. 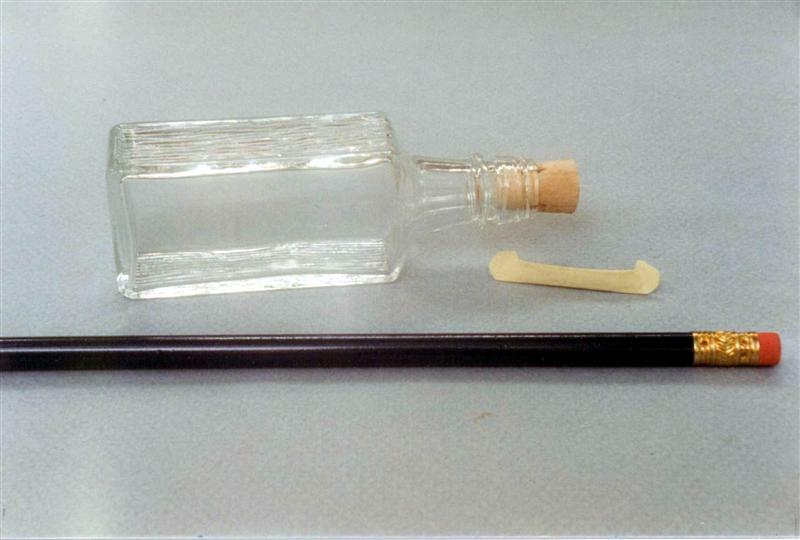 The paddles were made slightly long and cut to length during bottling. 7. Ready for bottling, with the prepared bottle scene. The primary need for patience is to allow each item to dry, during bottling. 8. 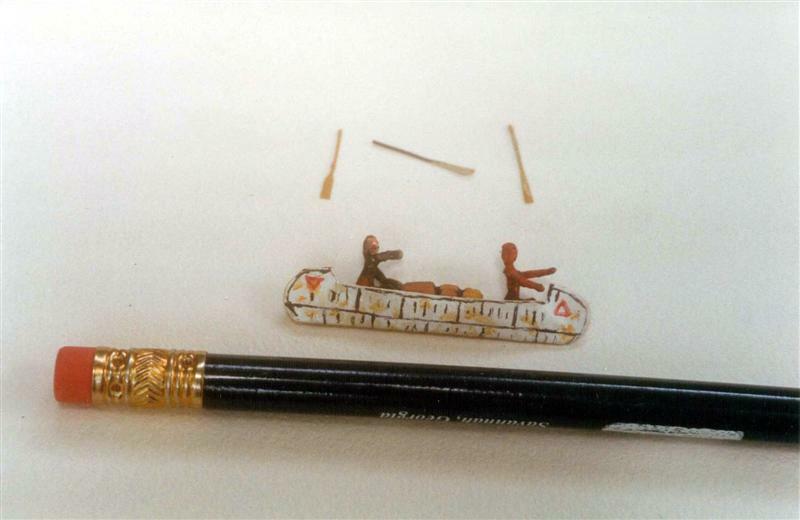 The finished model, with the Indian paddling to starboard and the frontier figure paddling to port.